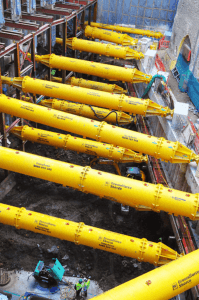 Groundforce offer Total Solutions to the construction industry dealing in shoring equipment, piling equipment, pipe stoppers, air pressure testing, pump hire and sale, trenchless technology, temporary bridges, and excavation training. With 30 years of experience Groundforce have an enviable portfolio of products and services developed to meet the stringent safety requirements of today’s market, operating in the UK, Ireland and mainland Europe. 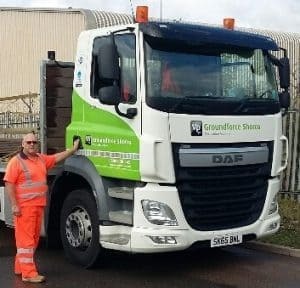 Groundforce is a multi award-winning company having scooped Site Preparation and Service Specialist of the Year at the 2013 Construction News Specialist Awards. More recently, Groundforce were shortlisted in the 2015 Ground Engineering and Equipment Supplier of the Year categories. We came across FORS when tendering for work across London. When we looked at the requirements and benefits of joining the scheme we saw that they fitted in perfectly with our ethos of improving safety whilst complementing our drive to improve fuel efficiency and reduce our environmental impact. We take compliance and safety very seriously so we achieved our Bronze and Silver Accreditation first time. FORS did help us by providing training and tools that improved the policies and procedures. The performance management toolkit really helped us set our targets for reducing our carbon footprint and improving our MPG. FORS has helped us improve our filing systems and procedures. We achieved this by making sure we always selected the best route possible to all our sites and we plan ahead before leaving the yard. We get all my drivers to complete a comprehensive Medical Declaration on a annually basis even though the FORS Standard states once every 5 years. It’s also mentioned in the drivers handbook that if they at any point in time start suffering from a medical condition they need to notify the company ASAP as well as if they need to start taking medication prescribed by their GP or over the counter drugs. We will then investigate it to see if it’s still safe for the driver to be driving for the company and we may even ask the driver to get a letter from his doctor informing the company if he is still able to drive for the company. We will then start doing more driver assessments on the driver to make sure he isn’t a risk to the company or anyone on the road. We have adopted a recruitment policy to try and help us recruit young drivers into the Transport industry. We only have 1 Operators yard and its in a Industrial Estate. We use this depot to load our lorries with non mechanic plant equipment. We use diesel Fork lifts that all have DPF filters fitted to reduce our corban output and reduce noise. Servicing is done by main dealers at their premises and as we are a hire company we load at your depot go to a site, off load there and then come back to our depot. All my lorries have white noise reversing alarms fitted to them. We carry heavy non mechanical equipment to and from construction sites across the whole country. As we rely on our customers asking us to collect equipment from various construction sites across the whole country, we never know where we are going until they need us. Therefore we can’t afford to try and move anything via barge or train as we collect all the equipment from building sites and there is no other method than using a lorry and we then asked to deliver anywhere in the country. So using a Lorry is the most cost effective way of moving our clients goods. We are replacing all our lorries with Euro 6 engines as and when they are due for renewal. We have looked at electric vehicles and because of the weights we carry and the fact that our lorries have specialist equipment fitted no manufacture have produced an alternative fuelled vehicle that can carry the weight we do and go over the same terrain we do. We will continue using what FORS has taught us to improve our MPG and reduce any wasted idling we might have and keep trying to reduce our Parking fines and Charges to zero. Gaining FORS Gold Accreditation shows how dedicated we are as a company to improving road safety and the safety of all vulnerable road users in London as well as nationally. We will continuously use what FORS has taught us to help reduce our carbon footprint and make the roads so safer for everyone that uses them. We have also managed to make a significant saving by reducing our fuel usage and improving our MPG. If you are a FORS company, or if you are working towards accreditation, your business is entitled to some exclusive fuel cost saving offers from Fuel Card Services. 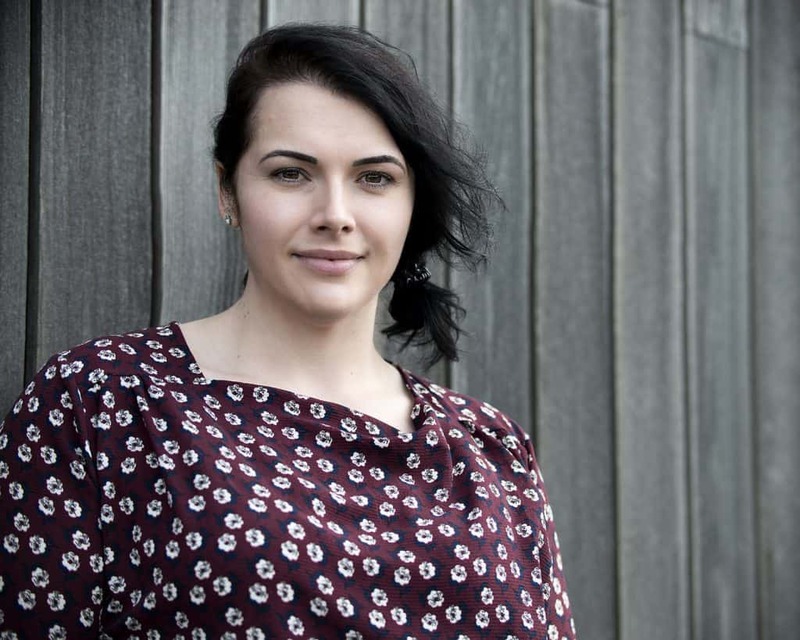 Rachel Pearson is our FORS specialist at Fuel Card Services – for more details on what we can offer FORS members – please click here.